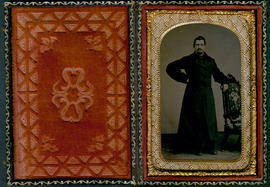 Series consists of photographs and negatives that belonged to Mr. A.T. Orr and his family. Series also contains several business cards of Mr. Orr's, some of his personal correspondence, newspaper clippings pertaining to birth and wedding announcements, a hymnal, and a lock of Florence E. Orr's hair. Design plans for the Montreal Light Heat & Power Co. are also found in the series.